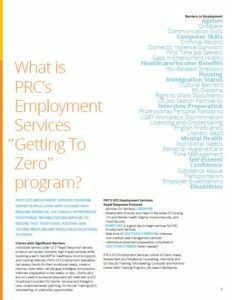 In 2017 PRC’s Employment Services Program, a San Francisco based San Francisco Department of Public Health funded program, was inspired by their community collaborations with San Francisco’s “Getting to Zero” (GTZ) Retention and Re-engagement Committee. San Francisco’s Getting to Zero initiative is a multi-sector, independent consortium operating under the principles of “collective impact.” Modeled after the UNAIDS goals, the vision is to reduce HIV transmission and HIV-related deaths in San Francisco by 90% before 2020. The result of this inspiration was the creation of a new program called the PRC GTZ Employment Services Program serving people living with HIV/AIDS who need intensive, culturally appropriate vocational rehabilitation services to ensure food, housing and income needs are met while on a vocational pathway. Individuals served under GTZ “Rapid Response” service protocol can access intensive, high impact services while receiving a warm handoff for healthcare, income support, and housing referrals. 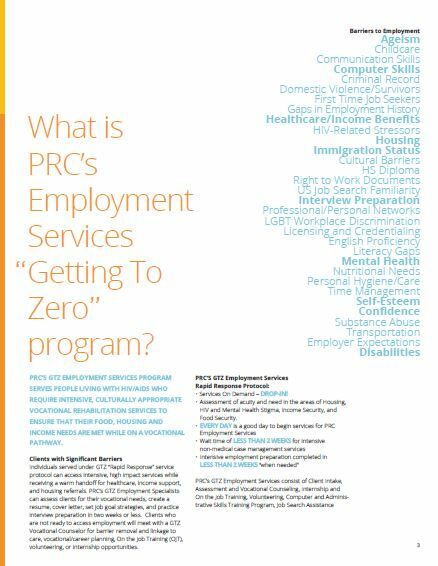 PRC’s GTZ Employment Specialists can assess clients for their vocational needs, create a resume, cover letter, set job goal strategies, and practice interview preparation in two weeks or less. Clients who are not ready to access employment will meet with a GTZ Vocational Counselor for barrier removal and linkage to care, vocational/career planning, On the Job Training (OJT), volunteering, or internship opportunities. Services On Demand – drop-in! Assessment of acuity and need in the areas of Housing, HIV and Mental Health Stigma, Income Security, and Food Security. 100% received supportive case management services and developed individualized service plans. The SF GTZ collective impact model fosters large-scale social change through cross-sector coordination, wherein organizations act in concert to a shared goal. By adopting this model through our collaborative efforts, we are able to enhance the spectrum of care for the people we serve, resulting in socioeconomic improvements. 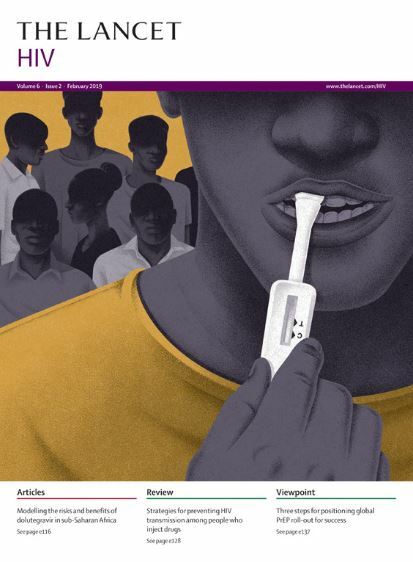 Having an HIV diagnosis is no longer a death sentence nor does it have to mean a lifetime of poverty. 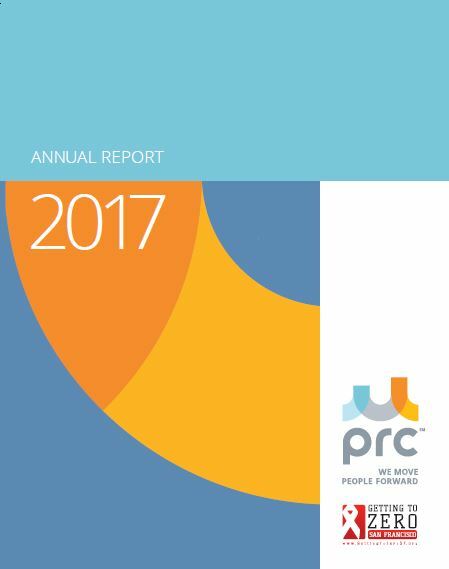 PRC is so proud to be part of the advancement in HIV health outcomes, yet there is so much more work to do! 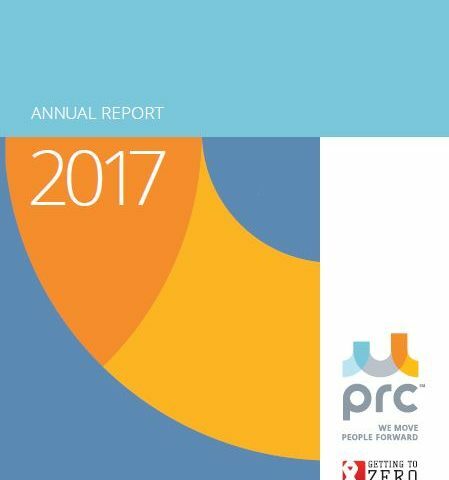 If you have questions about the program or the report, please contact Joe Ramirez-Forcier (Joe.RamirezForcier@prcsf.org) at PRC.